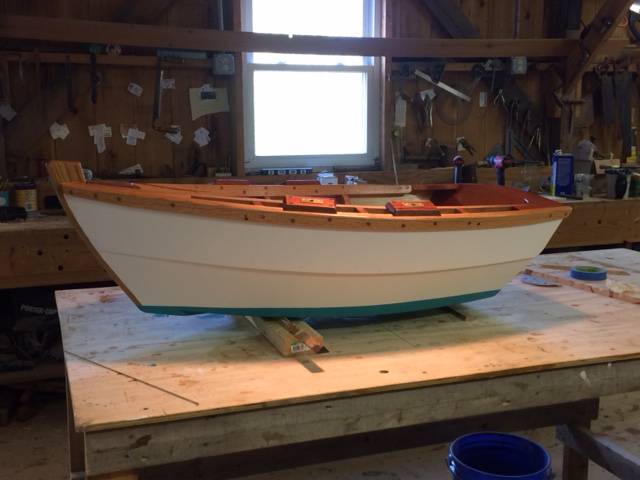 After forty years of building skiffs and dories, first, under the tutelage of the old timer, Fred Tarbox, at Lowell’s Boat Shop and later as Parker River Boat Works, this will be my first published launching. 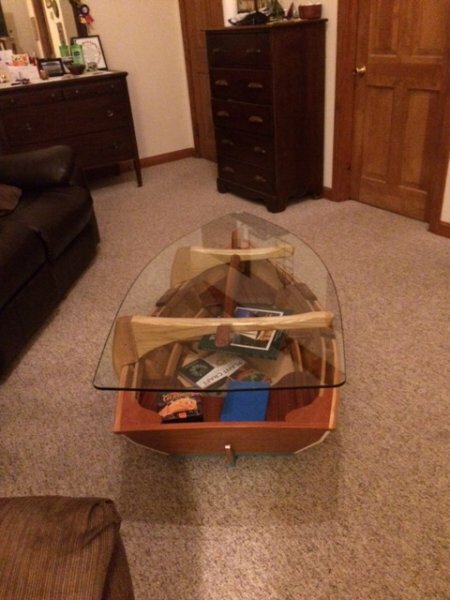 I have launched into nautically themed furniture with this skiff coffee table. 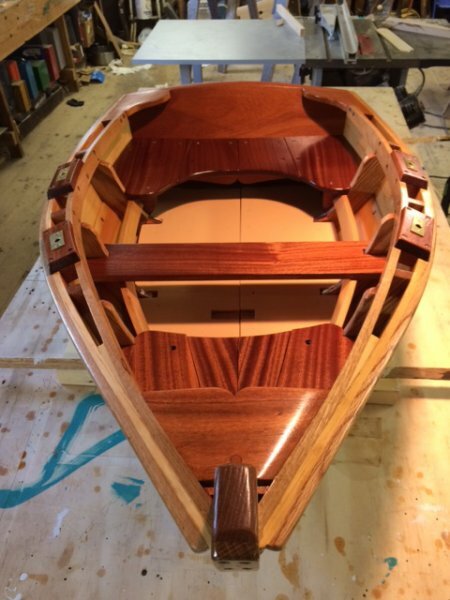 She is designed and built with traditional methods and materials, cedar on oak, mahogany transom, seats and knees. She is fastened with silicon bronze screws and nails. 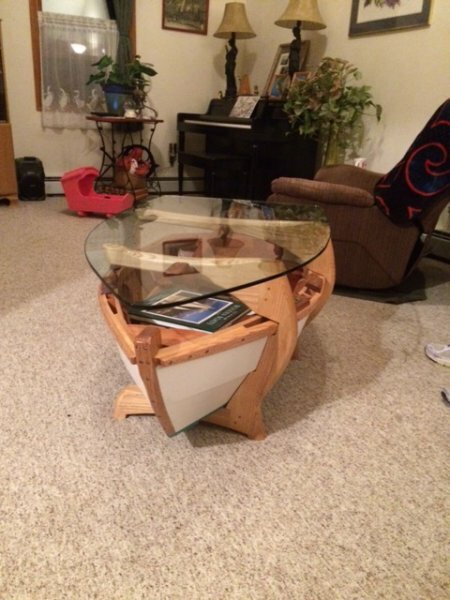 The skiff is four feet long with a beam of twenty-seven inches. 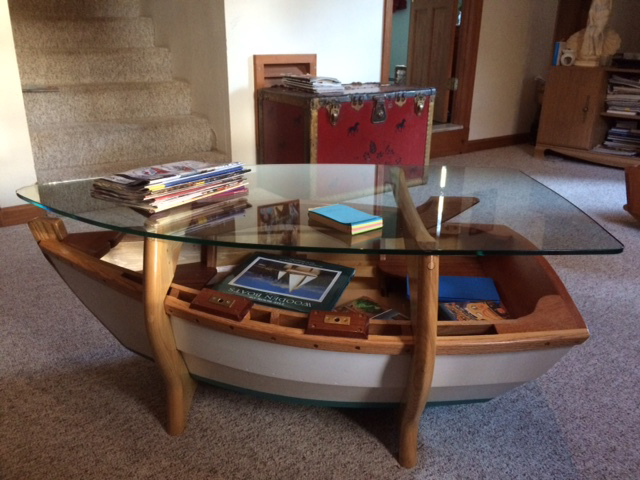 The oversized glass top (to keep her bilge dry) is suspended twenty inches high on davit like ash legs for easy accessibility for storage of gear. The davits allow for safe passage. Looking for a home port.